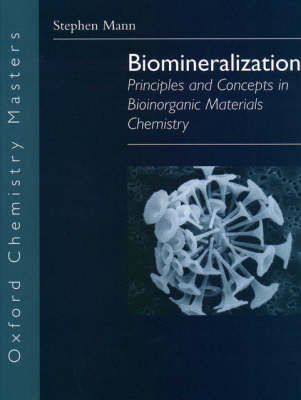 This book describes the principles and concepts of biomineralization and their application in the new field of biomimetic materials chemistry. The main focus is on the principles and concepts that arise from a chemical perspective of biomineralization. After surveying the major types of biominerals (chapter 2) the general principles of biomineralization are discussed (chapter 3), followed by a detailed description of the chemical aspects of biomineralization (chapter 4). The next four chapters are concerned with the process of biomineralization, including boundary-organized biomineralization (chapter 5), organic matrix-mediated biomineralization (chapter 6), morphogenesis (chapter 7) and biomineral tectonics (chapter 8). The final chapter describes how current knowledge of biomineralization is inspiring new biomimetic strategies in synthetic materials chemistry.